Not to be confused with Wayne State University, Wichita State University, or University of Washington. Enoch Albert Bryan, appointed July 22, 1893, was the first influential president of WSU. Bryan held graduate degrees from Harvard and Columbia and previously served as the president of Vincennes University in Indiana. Before Bryan's arrival, the fledgling university suffered through significant organizational instability. Bryan guided WSU toward respectability and is arguably the most influential figure in the university's history. The landmark clock tower in the center of campus is his namesake. WSU's role as a statewide institution became clear in 1894 with the launch of its first agricultural experiment station west of the Cascade Mountains near Puyallup. WSU has subsequently established extension offices and research centers in all regions of the state, with major research facilities in Prosser, Mount Vernon, and Wenatchee. In 1989, WSU gained branch campuses in Spokane, the Tri-Cities, and Vancouver. Overall, the federal government and the State of Washington have entrusted 190,000 acres (77,000 ha) of land to WSU for agricultural and scientific research throughout the Pacific Northwest. Professional education began with the establishment of the School of Veterinary Science in 1899; in 1902 the first two veterinary science students graduated, and in 1909 the first set of Doctor of Veterinary Science degrees was awarded. The veterinary school was elevated to college status in 1916 and became the College of Veterinary Medicine in 1925. Graduate education began in the early years and, in 1902, the first master's degree was conferred, an M.S. in Botany. In 1917, the institution was organized into five colleges and four schools, with deans as administrative heads. In 1922 a graduate school was created. In 1929, the first Ph.D. degree was conferred, in bacteriology. WSU offers more than 200 fields of study, including 95 majors, 86 minors, options, and over 140 graduate and professional degrees. Bachelor's degrees are available in all major areas, with master's and doctoral degrees available in most. The undergraduate core curriculum, including the writing program, is nationally recognized. WSU confers nearly 5,900 bachelor's, master's, professional, and doctoral degrees statewide in a typical year. The WSU Libraries also participates in the Orbis Cascade Alliance,  a consortium of 36 university and college libraries in Washington and Oregon offering the Summit catalog and an inter-library loan system and the WSU Libraries participates in the Greater Western Library Alliance (GWLA). 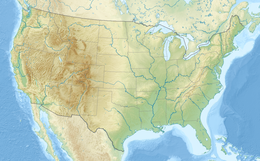 a consortium of 35 research libraries in the central and western United States. WSU Libraries utilizes ILLiad, RAPID, and DOCLINE for document delivery. The WSU Libraries is a member of the Association of Research Libraries. Research and scholarship at WSU is rooted in agriculture, natural for a land-grant university. The institution's first leader, George W. Lilley (1891–1892), was both president of the then-named Washington Agricultural College and School of Science and director of the Washington Agricultural Experiment Station. Subjects taught by the first five faculty members included agriculture, botany, horticulture, forestry, and veterinary science. The university's food and agriculture research helps sustain the state's annual $29 billion food industry. Faculty partnered with agriculture interests to create today's $3 billion a year wine grape business. The Apple Genome Project draws collaboration from scientists worldwide to map the apple genome, research aimed at supporting the apple industry. Veterinary medicine and animal health are also important research areas at WSU. In 2008, a $25 million grant from the Bill & Melinda Gates Foundation funded a large share of the cost for a research facility for a new WSU School for Global Animal Health. Its scientists address global infectious disease challenges by detecting diseases within animal populations and controlling their transmission. The Washington Animal Disease Diagnostic Laboratory at WSU works closely with the U.S. Department of Agriculture and the Centers for Disease Control and Prevention to develop and deploy diagnostic tests for livestock diseases. The WSU Extension has offices in each of Washington's 39 counties, providing training and assistance in agricultural practices, natural resource management, human and life skills, diversity understanding and outreach, the state 4-H program, and many other programs. In 1973 in Seattle, WSU Extension founded the now national Master Gardener Programs of trained volunteers. WSU Extension faculty and staff have also provided assistance for programs in under-developed and developing countries. Many faculty members have appointments to do research, teach, and provide extension services. Student life on WSU's Pullman campus is influenced by a variety of student organizations and their committees. Open to all students, they create educational, entertaining and cultural programming for WSU students and the local community. Committees include Asian Pacific American Student Coalition (APASC), Black Student Union (BSU), Environmental Sustainability Alliance (ESA), Gender and Sexuality Alliance (GSA), International Students' Council (ISC), Ku Ah Mah, KZUU Radio, Middle Eastern Students Association (MESA), Movimiento Estudianti Chicano de Aztian (MEChA), Student Legal Services (SLS), Veteran's Student Committee, and GIVE on the Pullman Campus. There are also more than 300 registered student organisations (RSOs) that cover many interests. All ASWSU committees are members of "Committee Squared," the coalition of all ASWSU Committee leaders. ASWSU also consists of the President and Vice President who oversee the Executive Staff. The staff consists of a variety of directors and assistant directors advancing student causes via student life, diversity affairs, campus life, and others. The 23-member Senate represents students via academic colleges as well as the Honors College and Freshman class. The Senate meets weekly to debate legislation, hear reports from the Executive Staff, and appoint the various officers of ASWSU. The Senate also provides financial support to the nearly 400 registered student organizations on campus via the Senate Finance Committee. Finally, the Election Board and the Judicial Board complete the association. There are several other influential student organizations. Interfraternity Council, Panhellenic Council, the United Greek Council, and the National Pan-Hellenic Council are governmental bodies for university-recognized Greek social organizations. The Residence Hall Association is a government body for students in the residence halls, governing all of the residence halls on campus excluding McEachern and Stimson Halls. It is the second biggest registered student organization at Washington State, representing about 4,700 on-campus resident students. The board of directors of the Students' Book Corporation has a total of nine directors. Five are students at WSU, two are faculty and two are administrative directors. These people oversees the non-profit campus bookstore separate from WSU. The Students' Book Corporation provides a 10% point of sale discount. On average the dividend total has been about $85,000. This is then received at ASWSU organizations at each campus to be distributed to various groups and activities. The Compton Union Board (CUB) oversees the management of the student union building and its services. The University Recreation Board oversees the management of university recreation. The Student Alumni Connection hosts several major campus events. The Student Entertainment Board (SEB) is a student-led board cpomposed of undergraduate students. Positions on the board include: Spotlight, Films, Up All Night, Lectures, CUB Gallery, Concerts, VPLAC (Visual, Performing, and Literary Arts Committee), Special Event (Homecoming and Springfest), Associate Director, and Director. They are responsible for bringing diverse arts & entertainment to campus. GPSA is similar, but differs in that it lacks a judiciary or a paid staff. The GPSA is centered on the senate which is composed of a large number of senators that represent different graduate and professional programs. The GPSA also has an executive Council that consists of the (GPSA) President, Vice-Presidents, and nine District Representatives elected from the nine colleges of WSU. WSU News is the university's official news website and daily e-newsletter  for faculty, staff and graduate students. The Daily Evergreen is Washington State University's student newspaper. The first issue of the Evergreen was published in 1895. Cable 8 Productions is a local student-operated cable TV channel serving WSU and the Pullman-Moscow area. KZUU 90.7 FM, a non-commercial college radio station, is a service of ASWSU. It gained FCC approval in 1979. KUGR Sports Rock is a student-operated, online radio station. Among the students who operate these media are broadcasting students in WSU's Edward R. Murrow College of Communication. 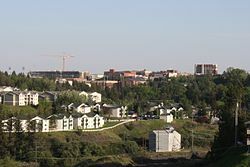 The Pullman campus of Washington State University is 620 acres (2.5 km2) and is in the Palouse region. The average elevation of the campus is approximately 2,500 feet (760 m) above sea level, and is seven miles (11 km) west of the Idaho border and Moscow, home of the University of Idaho, also a land-grant institution. The university communities are connected by Highway 270 and the Bill Chipman Palouse Trail. Campus architecture is diverse, but its prevailing image is perhaps best characterized by a handful of red-brick buildings in the older campus core designed in a neo-Georgian or Renaissance Revival mode, many of which were constructed between the world wars. Yet WSU was hardly immune to modernist, "international style" trends of the post-World War II period, and features some notable examples of the type, particularly the Regents Hill dormitory complex, designed by Paul Thiry (architect), on the north side of campus. By the 1990s, the university began to encourage eye-catching designs, including a 1994 addition to the old Holland Library (now called Terrell Library), by the Zimmer Gunsul Frasca Partnership (now ZGF Architects LLP) with a curving sweep of windows and a cone-shaped skylight above its atrium; an amenity-filled recreation center with a massive jacuzzi and fireplace in 2001; and the Samuel H. Smith Center for Undergraduate Education, or "CUE," named for WSU president Smith, who served from 1985–2000. The latter two buildings were designed by Yost Grube Hall of Portland. The busiest part of campus is the Glenn Terrell Friendship Mall, referred to as "the mall" by students. This walkway, which prior to the 1970s was a road with parking available along the sides, was named after Glenn Terrell, who was WSU's president from 1967 to 1985. President Terrell's secretary was known to set meetings 10 minutes behind schedule to make up for the time he would spend talking to students along the way. The library complex (Terrell and Holland Libraries), the student union (Compton Union Building), and three academic buildings surround the mall. The new crimson-colored cube that distinguishes the Jordan Schnitzer Museum of Art is slated to open in the spring of 2018, just across from the club seating entrance to the football stadium. Also significant are the Lewis Alumni Centre and the Webster Physical Science Building. The alumni center is an old beef cattle barn dating from the 1920s that was thoroughly transformed in the 1980s into event space and offices for the WSU Alumni Association. Rooms in the alumni center include the Board of Regents' Boardroom, Lighty Library, the Athletics Hall of Fame, the Alumni Presidents' Room, and the "Great Hall" for large social events on the second floor. Webster Hall, completed in 1974 and designed by the Seattle-based architectural firm of Naramore, Bain, Brady, and Johanson (NBBJ) is the tallest building on campus with twelve above-ground floors of offices and an expansive view of the region from a lounge on the northwest side of the top floor. There are currently 26 fraternities and 14 sororities at WSU. Kappa Sigma is the oldest national fraternity at WSU with a founding date in 1909 and Alpha Delta Pi was the first sorority at WSU with a founding date in 1912. Between 15-20 percent of undergraduate students are in the Greek community annually. Greek Row is situated on College Hill just downhill from Bryan Hall and the Hill Halls (the historic single-gender dormitories) on the WSU campus, and among the homes of faculty, Greek live-outs, and apartment buildings. The Greek Row and College Hill area is a diverse community of students, faculty members, and families (including the President's House). Restaurants, thrift stores and various bars line Colorado Street, the main street on College Hill. The bars on College Hill include Cougar Cottage (informally, the Coug), currently in its 78th year of operation, Valhalla, and Stubblefield's (informally, Mike's); all boast a large number of customers on the weekends as well as many themed weekdays. The university has the 160,000-square-foot (15,000 m2) Student Recreation Center (SRC), which was the largest student recreation center in the United States when it was opened in 2001. The SRC contains a 1⁄8-mile (0.2 km) elevated indoor track, four basketball courts, two volleyball courts, roller hockey rink, four racquetball courts, swimming pool, 50-person jacuzzi, free weights, weight machines, cardio equipment, exercise instruction rooms, outdoor sand volleyball courts, and a low to high ropes course. The campus also has several other basketball courts, dance rooms, a climbing wall, and the Outdoor Recreation Center where students can check out equipment or register for various events and trips. The seven-mile (11 km) Bill Chipman Palouse Trail links Pullman with Moscow and links to the Latah Trail to Troy, 22 miles (35 km) from WSU. Another bike trail wraps around the Pullman campus (about eight miles or 13 kilometres long). The school has an intramural program, and club sports are also very popular on campus. The WSU Arboretum Committee continues to develop an Arboretum and Botanical Garden on a hilltop adjacent to the Lewis Alumni Center. In addition, about 95 acres (38 ha) on the east edge of campus has been identified for a more expansive Arboretum and Botanical Garden, including a wildlife center. Students interested in contributing to the development of the WSU Arboretum are working with the Native Plant & Landscape Restoration Nursery to help establish tree plantings, future habitat restoration sites, or native plant displays that may be part of a campus green belt design. The university promotes on-campus sustainability primarily though the Sustainability and Environment Committee  and the ASWSU Environmental Task Force. Undergraduates who have an idea to improve campus sustainability can apply for funding from the Cougar Green Fund, which is funded by an optional $5 student fee. WSU also provides a free bikeshare system through its Greenbike program. Also at WSU are the Harold E. Culver Collection, with fossils of pre-historic animals; the Lyle and Lela Jacklin Collection of Silicified Wood & Minerals; and S. Elroy McCaw Fluorescent Mineral Display. Research collections include an Historic Costume and Textiles Collection, the Maurice T. James Entomological Collection, the Marion Ownbey Herbarium, the Mycological Herbarium, and the Henry W. Smith Soil Monolith Collection. Washington State University is a member of the Pac-12 Conference. The school's mascot is " Butch T. Cougar" and the school's colors are crimson and gray. Varsity athletics include men's baseball, basketball, cross country, football, golf, and track and field, as well as women's basketball, cross country, golf, rowing, soccer, swimming, volleyball, tennis, and track and field. In the past WSU had varsity programs of boxing, wrestling, gymnastics, and men's swimming. In 1917, WSU won its first national championship in men's basketball. In 1937, Roy Petragallo and Ed McKinnon won the NCAA boxing championship, another national championship. The Cougars third and most recent national championship was earned in 1977 in indoor track and field. ^ "Office of the President; Kirk Schulz Biography". Washington State University. Retrieved September 17, 2017. ^ "WSU Quick Facts 2016". Washington State University. Retrieved December 21, 2017. ^ a b c "Facts & Figures Fall 2015". Washington State University. Retrieved September 22, 2015. ^ "Colors". Washington State University. Retrieved April 6, 2017. ^ "Washington State University- Academic life". ^ "globalcampus.wsu.edu". globalcampus.wsu.edu. Retrieved September 22, 2015. ^ "Quick Facts - Washington State University". ^ "International students come from many different countries". Wsunews.wsu.edu. Retrieved September 22, 2015. ^ "Washington State University". ucomm.wsu.edu. Retrieved August 20, 2014. ^ "Board of Regents- Bylaws". ^ WAFAI, YASMEEN. "Faculty Regent proposal stalls in state gov't". The Daily Evergreen. Retrieved November 19, 2018. ^ "Board of Regents, Regents Profiles". Washington State University web site. ^ "Board of Regents". Regents.wsu.edu. August 2, 2012. Retrieved June 19, 2013. ^ "Washington State University Past Presidents". President.wsu.edu. Retrieved January 28, 2012. ^ "Washington State University Timeline". ucomm.wsu.edu. Retrieved November 4, 2015. ^ "About | WSU Foundation | Washington State University". foundation.wsu.edu. Retrieved October 29, 2015. ^ "Board Of Governors | WSU Foundation | Washington State University". foundation.wsu.edu. Retrieved October 29, 2015. ^ "Common Data Set". wsu.edu. Retrieved March 7, 2015. ^ "Student Data". wsu.edu. Archived from the original on February 16, 2015. Retrieved March 7, 2015. ^ a b c d e "History of WSU buildings". Washington State University Libraries. Retrieved August 22, 2012. ^ a b "Quick Facts". Washington State University. Retrieved October 29, 2015. ^ "Fields of Study | Admissions | Washington State University". admission.wsu.edu. Retrieved September 22, 2017. ^ "Academic Excellence | Washington State University". Washington State University. Retrieved September 22, 2017. ^ "Washington State University: Rankings". ^ "Search WSU Worldcat and Beyond | WSU Libraries". Wsulibs.wsu.edu. Retrieved June 19, 2013. ^ "WSU Libraries Statewide". Wsulibs.wsu.edu. Retrieved January 28, 2012. 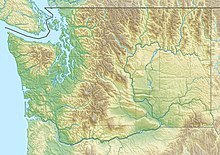 ^ "Orbis Cascade Alliance of Washington and Oregon". Orbiscascade.org. June 13, 2013. Retrieved June 19, 2013. ^ "Stats" (PDF). www.wsulibs.wsu.edu. 2012. ^ "Washington Wheat Facts 2008–2009" (PDF). Retrieved January 28, 2012. ^ "Wheat Variety Development at Washington State University". cahnrsnews.wsu.edu. July 12, 2007. Retrieved January 28, 2012. ^ "CAHNRS News - Washington State University". cahnrsnews.wsu.edu. ^ "Viticulture and Enology at Washington State University". Winegrapes.wsu.edu. Archived from the original on December 12, 1998. Retrieved January 28, 2012. ^ "FDA approves researcher's food-preserving process". Wsutoday.wsu.edu. October 29, 2009. Archived from the original on June 24, 2013. Retrieved June 19, 2013. ^ "Climate Friendly Farming at Washington State University". Cff.wsu.edu. Retrieved January 28, 2012. ^ McIlroy, D. N.; Zhang, D.; Kranov, Y.; Norton, M. G. (2001). "Nanosprings". Applied Physics Letters. 79 (10): 1540. doi: 10.1063/1.1400079. ^ Hall, Alan (December 15, 2008). "SciAm 50, Scientific American January 2008". Scientificamerican.com. Retrieved January 28, 2012. ^ "WSU Extension Master Gardener Program". Mastergardener.wsu.edu. Archived from the original on December 29, 2011. Retrieved January 28, 2012. ^ "SBDC Advising Centers Map". Wsbdc.org. Retrieved January 28, 2012. ^ "WSU Press Submission Guidelines". Wsupress.wsu.edu. Archived from the original on February 2, 2012. Retrieved January 28, 2012. ^ "WSU Facts & Figures Brochure 2009–2010" (PDF). Retrieved January 28, 2012. ^ "2008 Carnegie Community Engagement Classification" (PDF). Archived from the original (PDF) on November 22, 2009. Retrieved January 28, 2012. ^ a b "faq | SBC Board | Washington State University". sbcboard.wsu.edu. Retrieved September 22, 2017. ^ "WSU History by Decade 1910–1919". Wsu.edu. Archived from the original on February 3, 2004. Retrieved January 28, 2012. ^ "Washington State Magazine". Washington-state-magazine.wsu.edu. February 15, 2012. Retrieved June 19, 2013. ^ "WSU News". news.wsu.edu. Retrieved September 22, 2015. ^ Groves, Patrick. "The Daily Evergreen". Dailyevergreen.com. Retrieved September 22, 2015. ^ "KZUU FM History". Wsm.wsu.edu. Retrieved January 28, 2012. ^ "KUGR Radio at WSU". Kugr.org. Retrieved June 19, 2013. ^ "Cougar Spirit". visitor.wsu.edu. Archived from the original on September 23, 2017. Retrieved September 22, 2017. ^ James, Weddell,; University, Washington State University. Task Force for Historic Preservation on the Historic Core of The Washington State (February 12, 1985). "Historic Resource Survey and Analysis". ^ Missildine, Harry (January 22, 1972). "It'll be 'Martin Stadium'". Spokesman-Review. (Spokane, Washington). p. 10. ^ "Fast blaze ruins Pullman stadium". Spokesman-Review. (Spokane, Washington). April 6, 1970. p. 1. ^ "Rogers Field fire". Washington State University Libraries. City of Pullman Image Collection. 1970. Retrieved August 12, 2014. ^ Missildine, Harry (October 1, 1972). "Utah Beats Cougars 44-25". Spokesman-Review. p. 1 Sports. ^ "The Cougar Football Project | Capital Planning and Development". Cpd.wsu.edu. November 26, 2012. Retrieved June 19, 2013. ^ "Historic buildings at Washington State University retain original appearance". Spokesman-Review. (Spokane, Washington). (photo). December 29, 1974. p. 1. ^ "History of Office of University Architect". Wsulibs.wsu.edu. June 1, 1935. Retrieved January 28, 2012. ^ "Lewis Alumni Centre History". Archived from the original on October 11, 2008. Retrieved April 18, 2008. 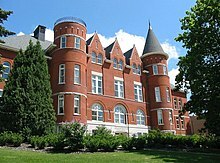 ^ "Washington State University buildings". Wsulibs.wsu.edu. February 12, 1985. Retrieved January 28, 2012. ^ "Community Hall". Wsulibs.wsu.edu. Archived from the original on February 7, 2012. Retrieved January 28, 2012. ^ "McCroskey Hall". Wsulibs.wsu.edu. Archived from the original on February 7, 2012. Retrieved January 28, 2012. ^ "McCroskey Hall image". Wsulibs.wsu.edu. Archived from the original on February 7, 2012. Retrieved January 28, 2012. ^ "Stimson Hall home page". Wsu.edu. Retrieved January 28, 2012. ^ "MASC Digital Collections: Stimson Hall". Content.wsulibs.wsu.edu. Retrieved January 28, 2012. ^ "Washington State University buildings". Wsulibs.wsu.edu. Archived from the original on February 7, 2012. Retrieved January 28, 2012. ^ "Course Rating and Slope Database™ Palouse Ridge". Retrieved August 22, 2012. ^ "Course Rating and Slope Database™: UIGC". USGA. Retrieved August 22, 2012. ^ "WSU Arboretum Proposal, retrieved November 2009" (PDF). Archived from the original (PDF) on May 31, 2010. Retrieved November 20, 2009. ^ a b c The College Sustainability Report Card. "Washington State University- Green Report Card 2011". Retrieved April 22, 2013. ^ Washington State University. "Climate Action Plan" (PDF). Archived from the original (PDF) on January 16, 2013. Retrieved April 22, 2013. ^ American College and University President's Climate Commitment. "Progress Report for Washington State University- Pullman". Archived from the original on September 28, 2013. Retrieved April 22, 2013. ^ Washington State University. "Clean Technology". ^ American College and University President's Climate Challenge. "Implentation Profile for Washington State University". Archived from the original on September 28, 2013. Retrieved April 22, 2013. ^ Washington State University. "Campus Sustainability". Retrieved April 22, 2013. ^ "WSU Museums and Libraries". Archived from the original on July 4, 2008. Retrieved July 8, 2009. ^ "Museum of Art Permanent Collections". Museum.wsu.edu. Archived from the original on February 25, 2012. Retrieved January 28, 2012. ^ "Cougars add Idaho to 2013 football schedule". Washington State University Athletics. May 1, 2012. Archived from the original on January 5, 2013. Retrieved August 22, 2012. ^ "WSU Regents' Distinguished Alumnus Award Recipients". Regents.wsu.edu. February 14, 2006. Retrieved January 28, 2012. ^ Washington State Magazine. "WSU myths and legends". wsu.edu. Retrieved March 7, 2015.